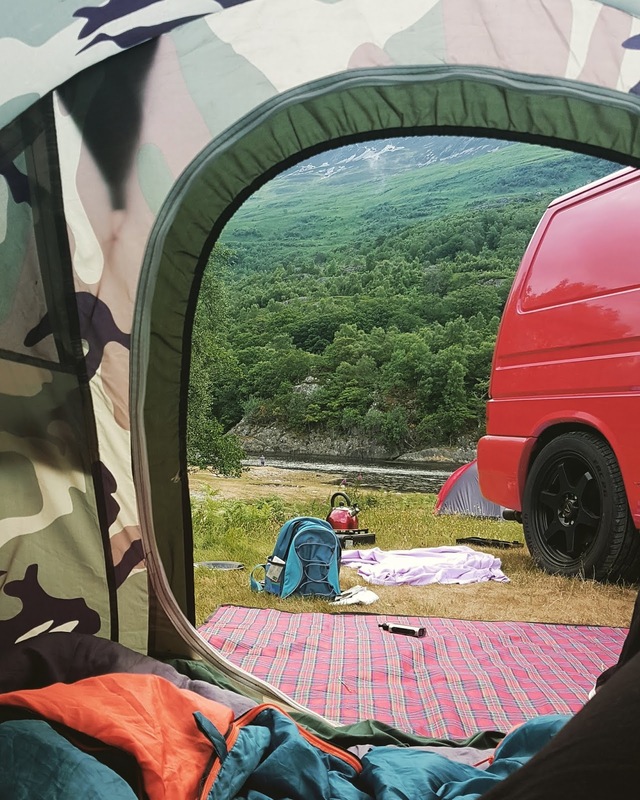 One of the things I love about camping is sitting inside and looking out on the view. 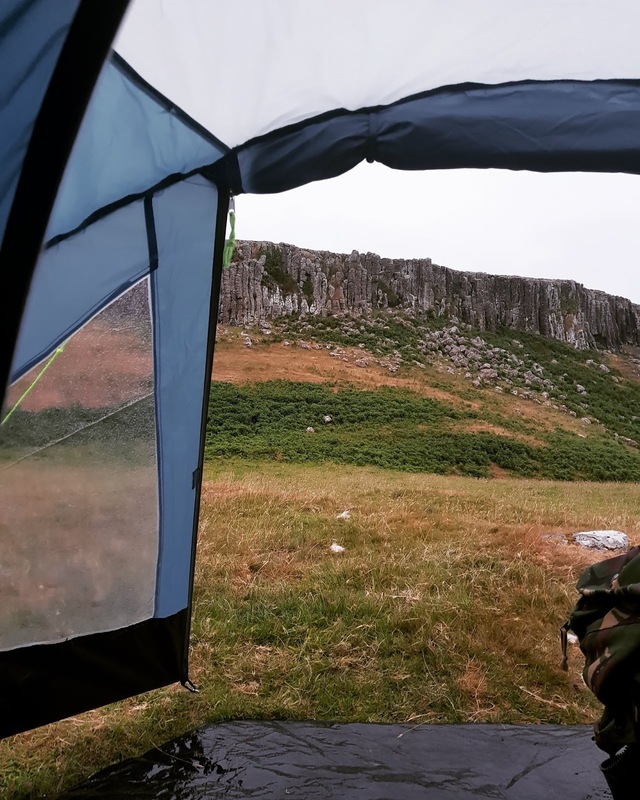 To be honest, even when the view is pants or not at all inspiring, I like just sitting inside feeling surrounded by the tent but with the freedom of having the door wide open. 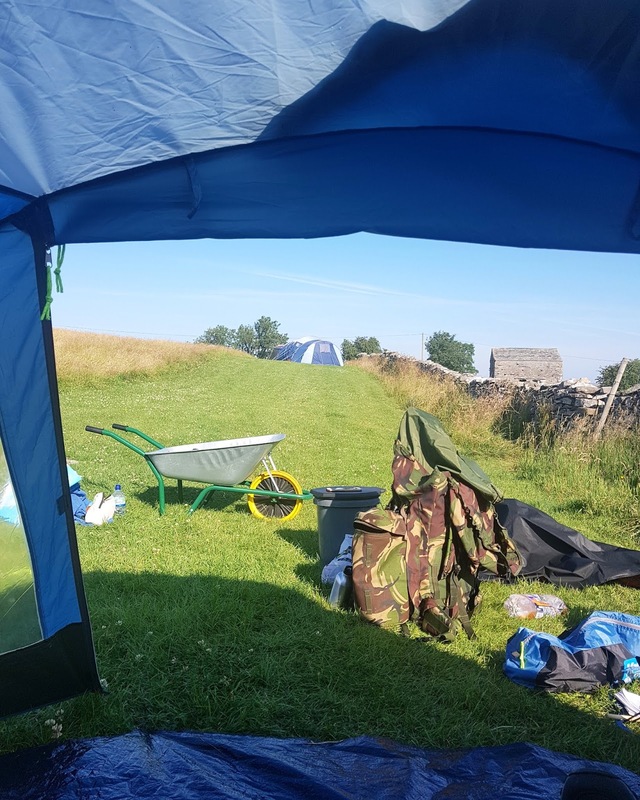 At the Isle of Man I would open my tent door as soon as I woke up and would get ready with it open. 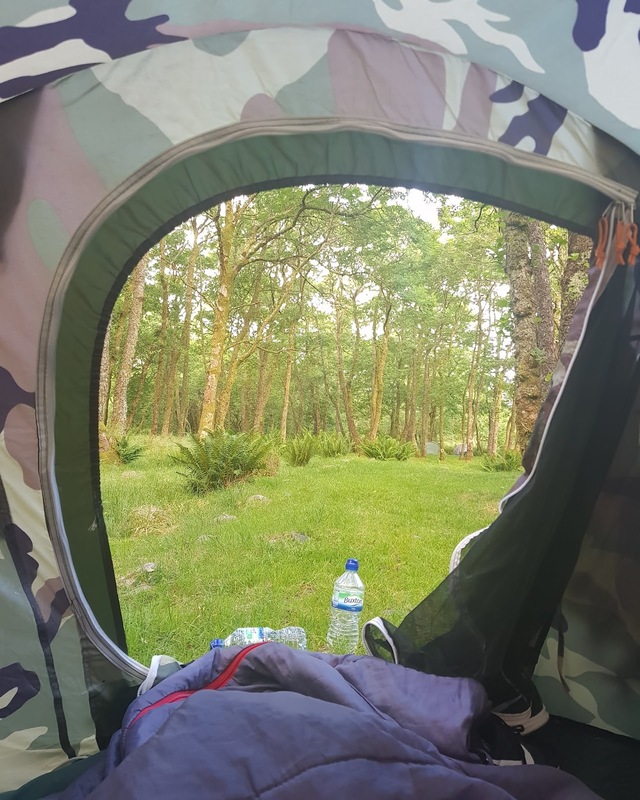 The first morning of camping in Scotland I decided to take a photo from inside the tent. Being surrounded by green and woodland was so pretty (despite the midges!!) and I really wanted to capture that. 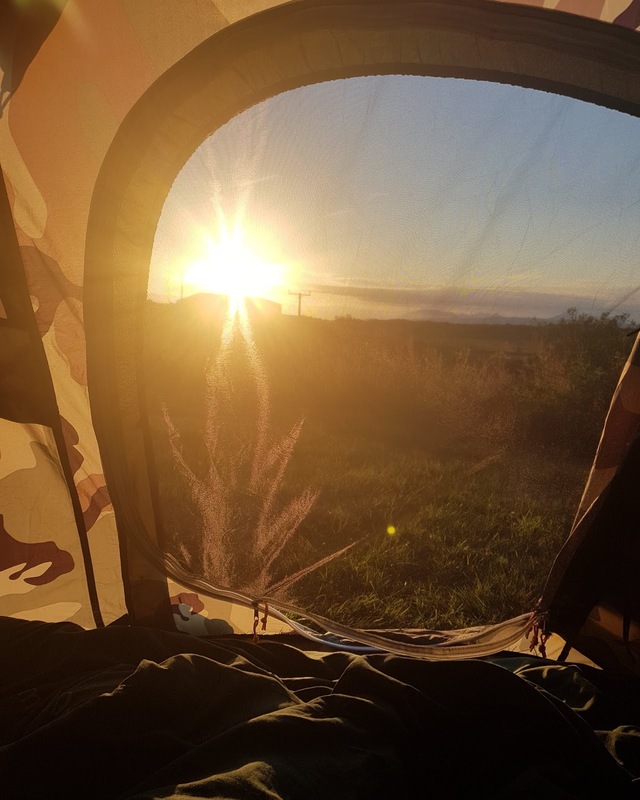 The second night there was a beautiful sunset and with the net down, it was so warm we couldn't have the whole door zipped up but wanted to keep the midges out and have some kind of privacy, so I couldn't resist taking a photo of the view from inside. And there came my idea to photograph each view we had during our trip. 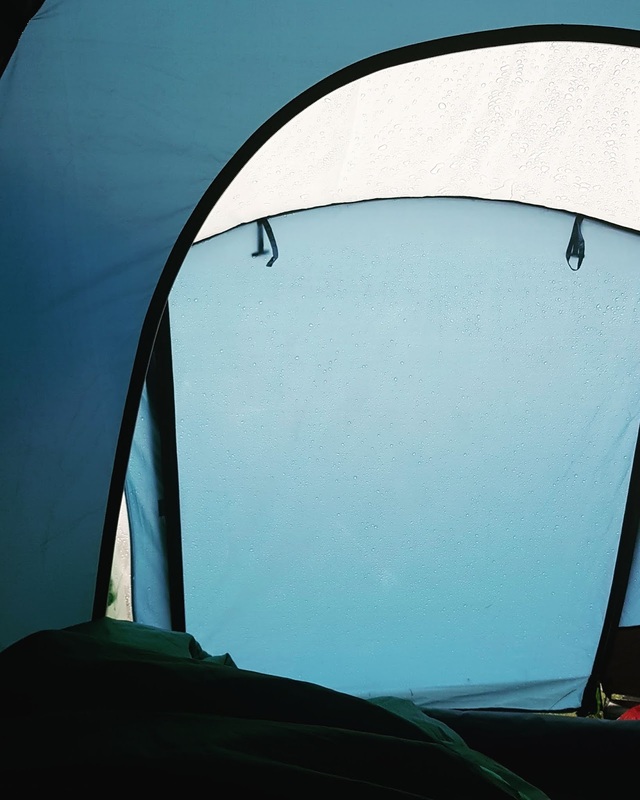 I also really like having the view framed with the tent doorway. 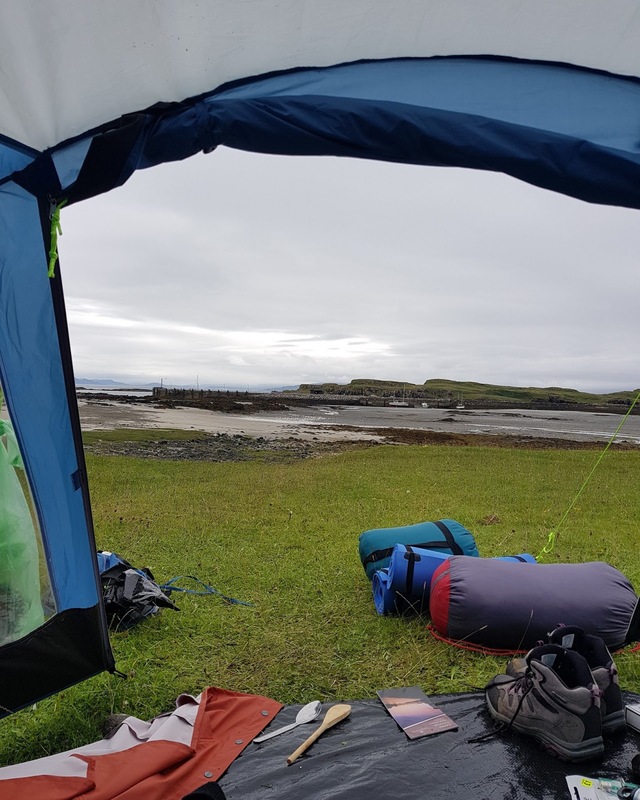 5 campsites and also 3 nights of Wild Camping meant we would have varied views and I'm really glad I did this as I have loved having it to look back on.